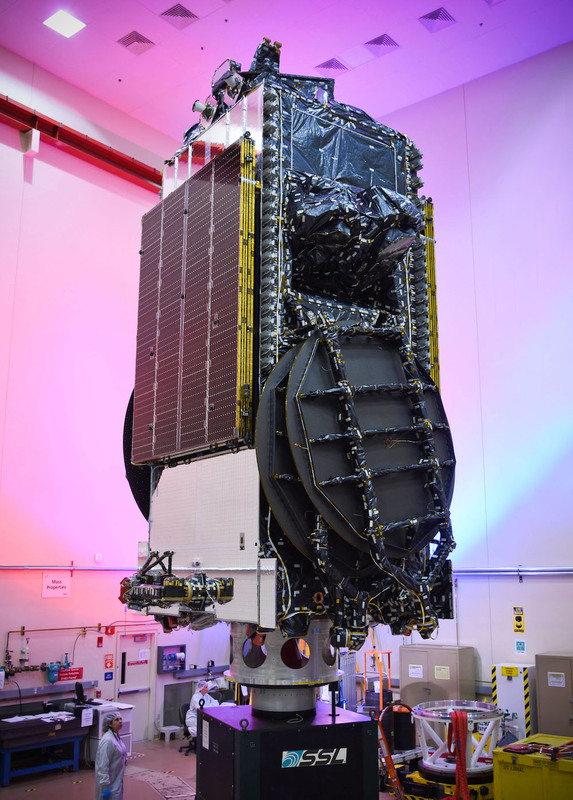 Echostar 19/Jupiter 2 — which reached Cape Canaveral Nov. 4 — is a Ka-band satellite that will use high-throughput spot beams to provide consumer broadband under the HughesNet brand. 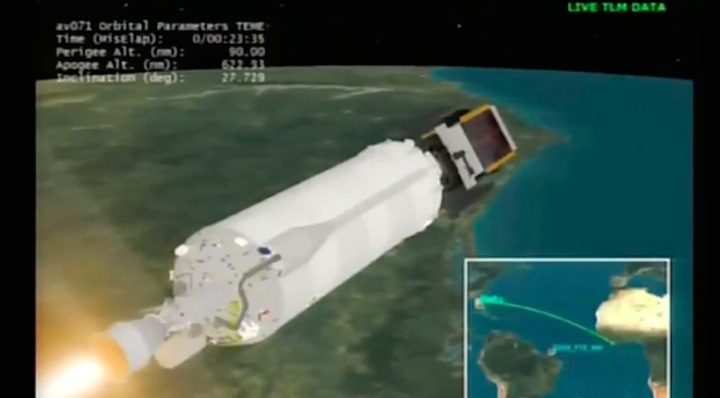 The satellite will join Echostar 17/Jupiter 1, launched in July 2012, and Spaceway 3, launched in 2007 — both on Ariane 5s — providing deeper coverage of North America. 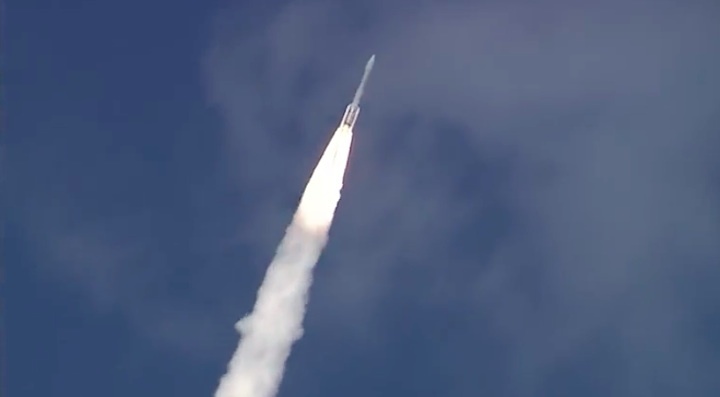 Space Systems Loral of Palo Alto, California, built both satellites. 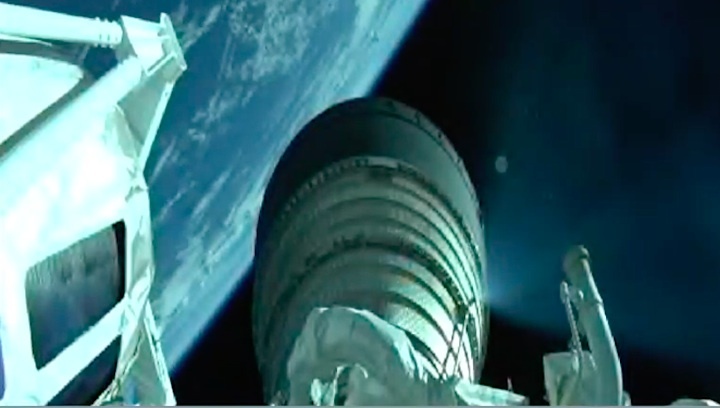 Once in orbit and providing service, Echostar 19/Jupiter 2 will enable Hughes of Germantown, Maryland, to grow its currently constrained satellite consumer broadband business, which has almost completely run out of marketable capacity in North America. 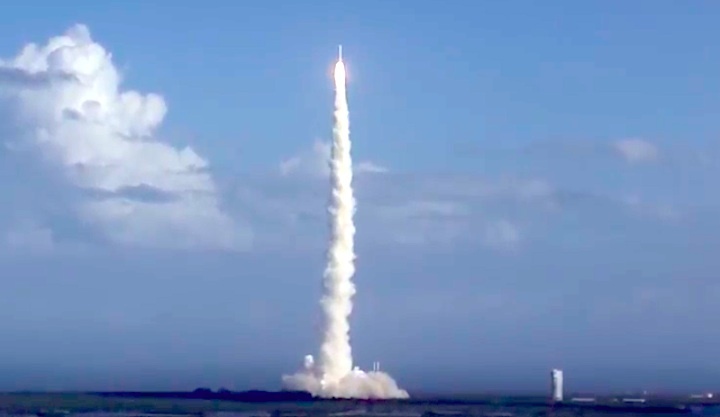 “EchoStar 19 will provide us with added capacity to meet the burgeoning demand for HughesNet high-speed satellite Internet service and we look forward to next month’s launch with great anticipation,” Pradman Kaul, president of Hughes, said in a Nov. 7 press release. 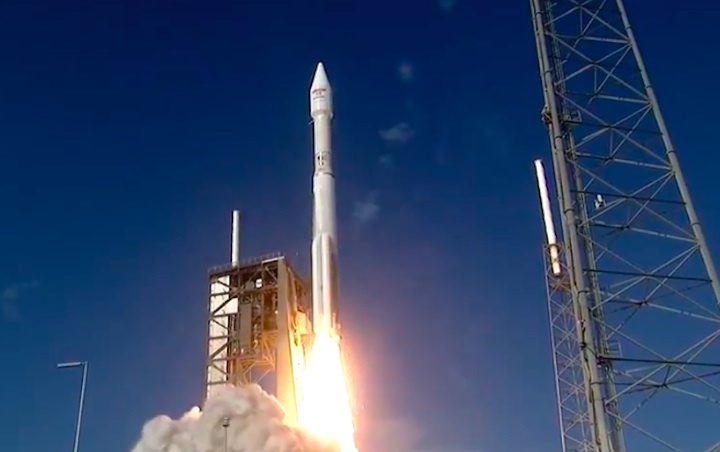 Denver-based United Launch Alliance, which has performed eight launches this year, will conduct the Echostar mission under a contract Echostar booked through Lockheed Martin Commercial Launch Services. 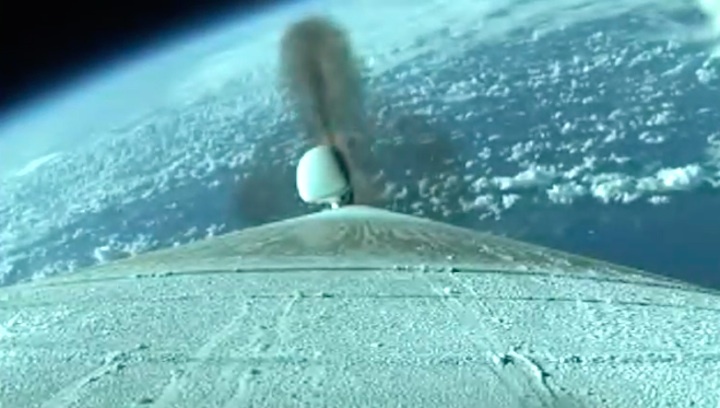 United Launch Alliance has three other missions in the queue before EchoStar 19/Jupiter 2, including the commercial launch of DigitalGlobe’s WorldView 4, slated for Nov. 11. 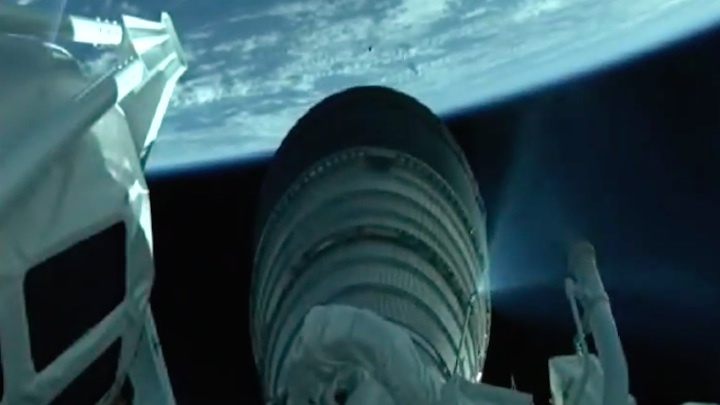 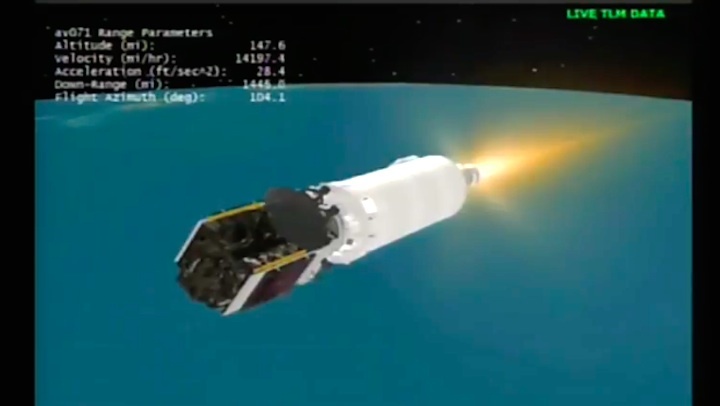 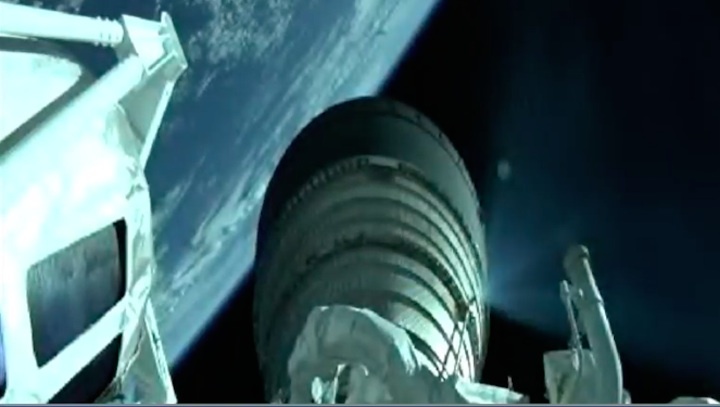 Two other missions, the Atlas 5 launch of NOAA’s Geostationary Operational Environmental Satellite-R (GOES-R) and the Delta 4 launch of the U.S. Air Force’s Wideband Global Satcom 8 (WGS-8) satellite, also precede EchoStar 19/Jupiter 2. 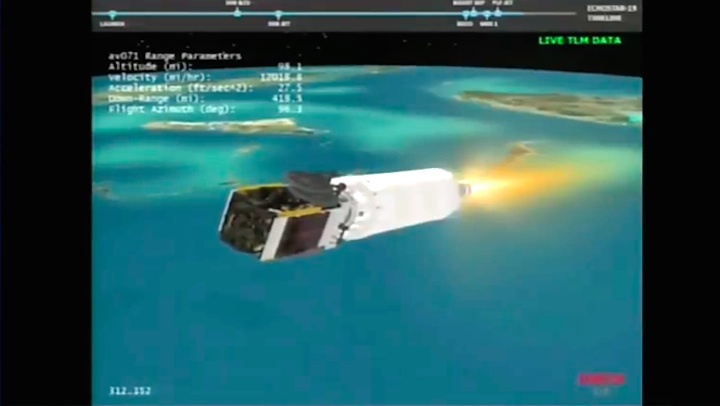 EchoStar 19/Jupiter 2 is the ninth GEO satellite Space Systems Loral has shipped this year for launch. 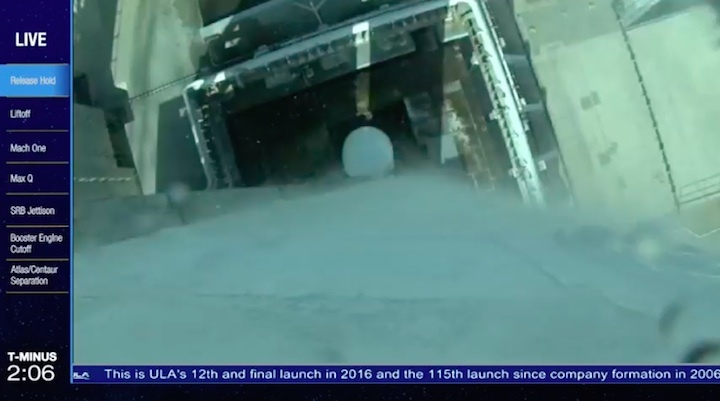 Barring delays, the satellite manufacturer is on course to see a record 13 of its GEO spacecraft launched this year, which along with four low-Earth orbit smallsats for Google-owned Terra Bella, would bring the total number to 17 spacecraft produced and orbited by year’s end. 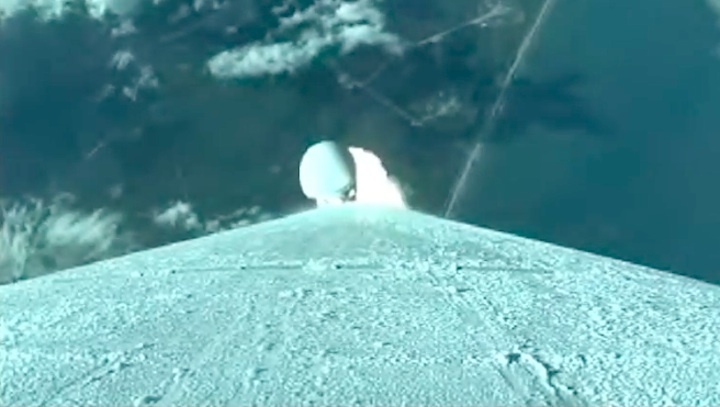 CAPE CANAVERAL — A state-of-the-art satellite to provide high-speed Internet connectivity across North America, specializing in areas where terrestrial networks are not available, will be mounted atop its booster rocket Saturday in preparation for launch next weekend. 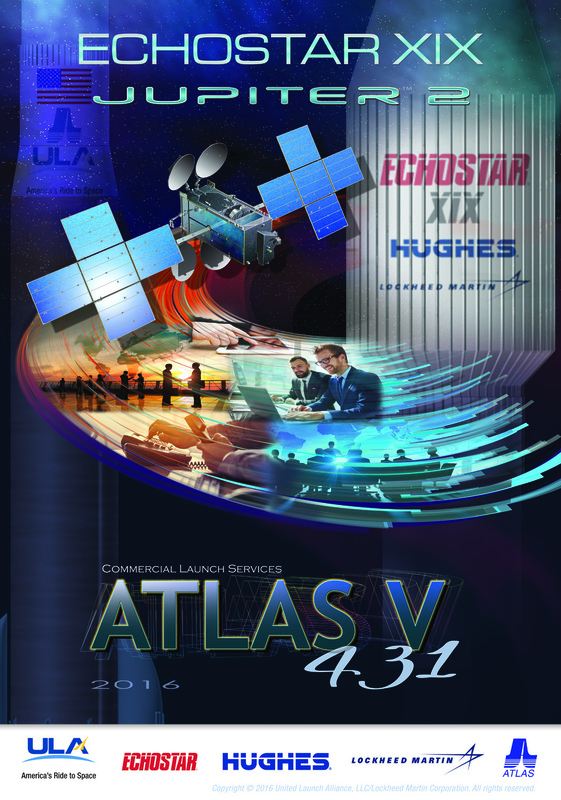 The EchoStar 19 spacecraft will be propelled into orbit atop a United Launch Alliance Atlas 5 rocket on Sunday, Dec. 18. 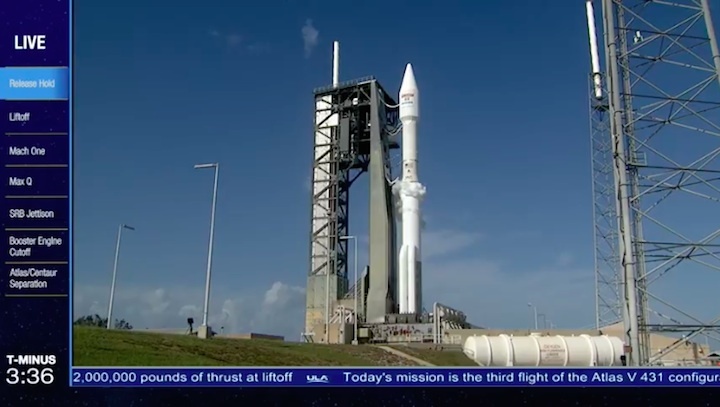 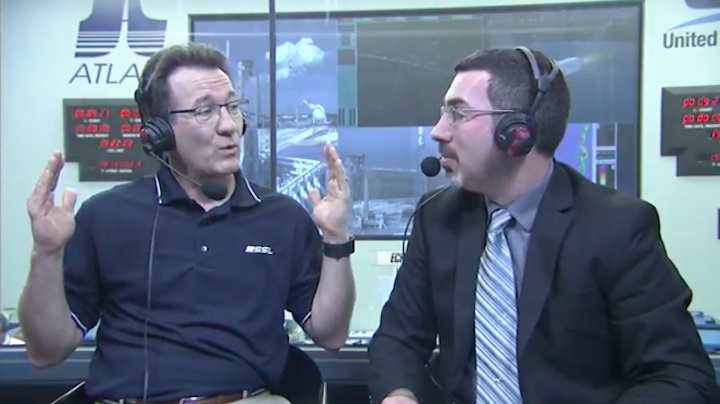 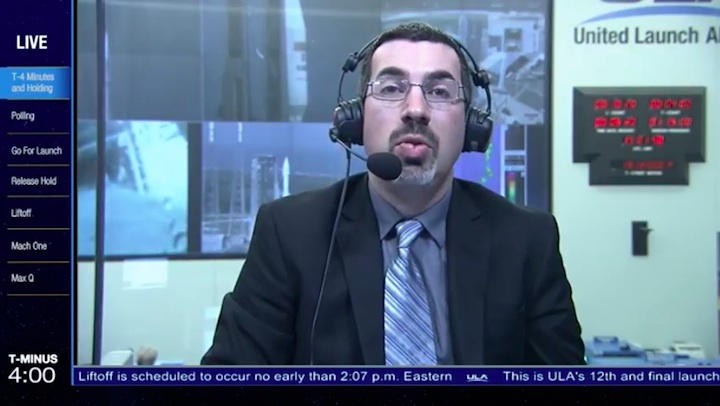 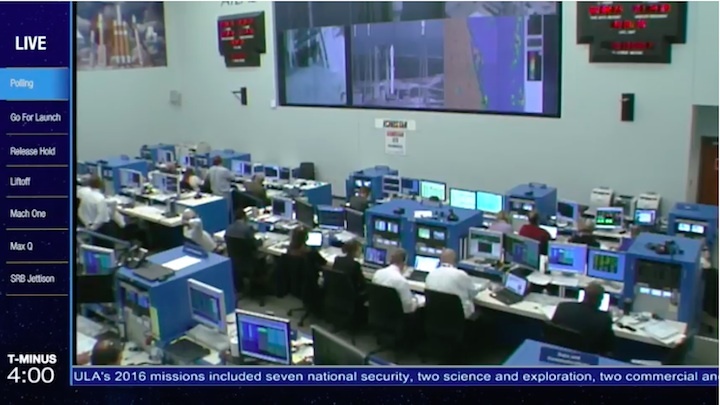 Liftoff from Cape Canaveral will be possible during a 120-minute window opening at 1:27 p.m. EST (1827 GMT). 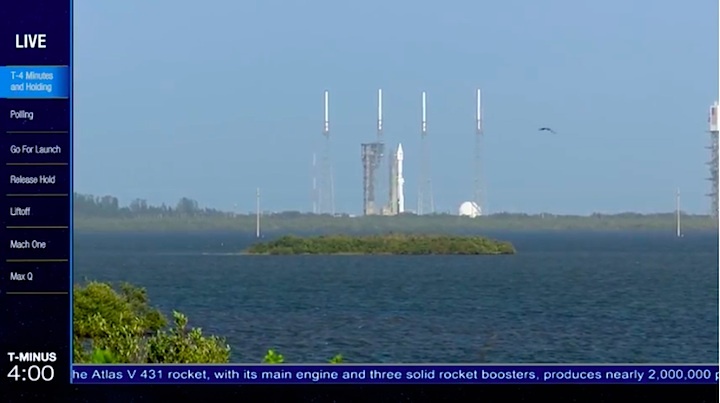 Playalinda Beach just north of the launch pad will offer the best and closest viewing spot for the general public. 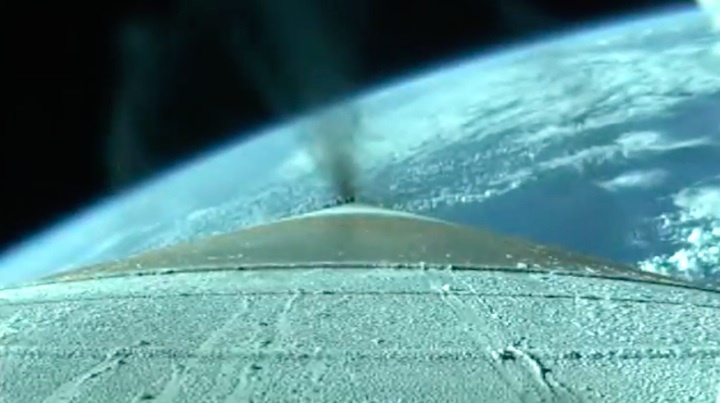 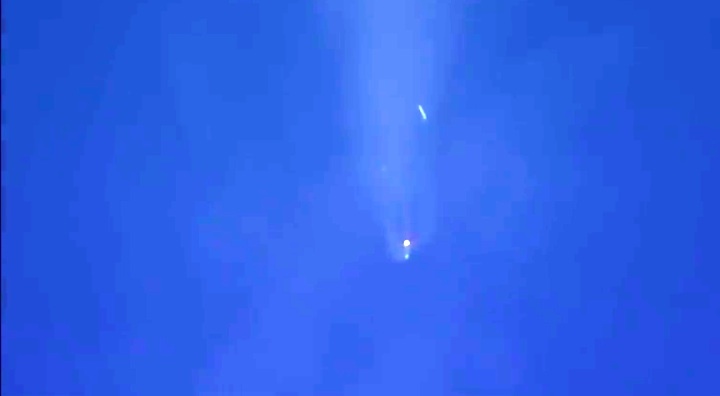 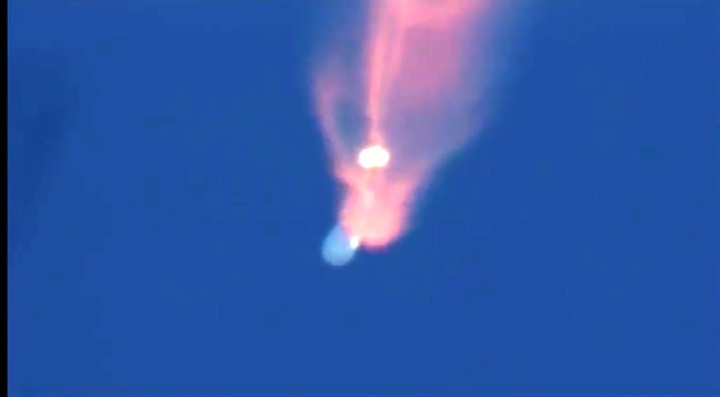 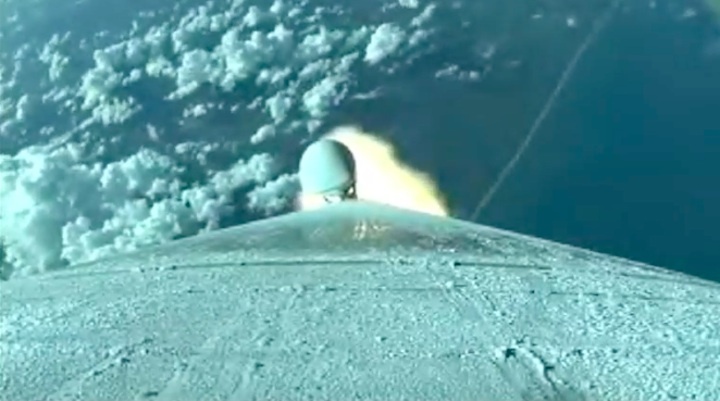 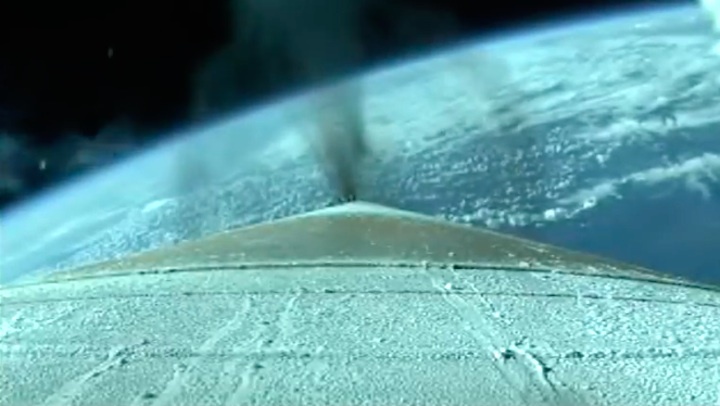 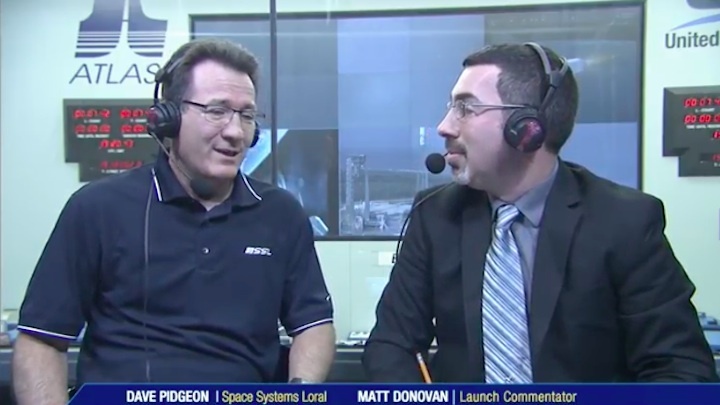 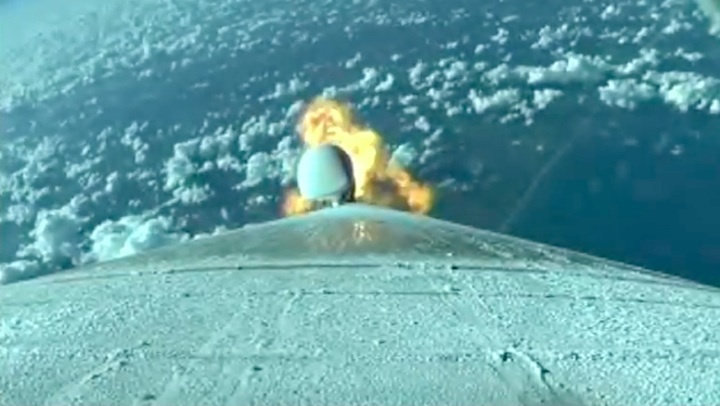 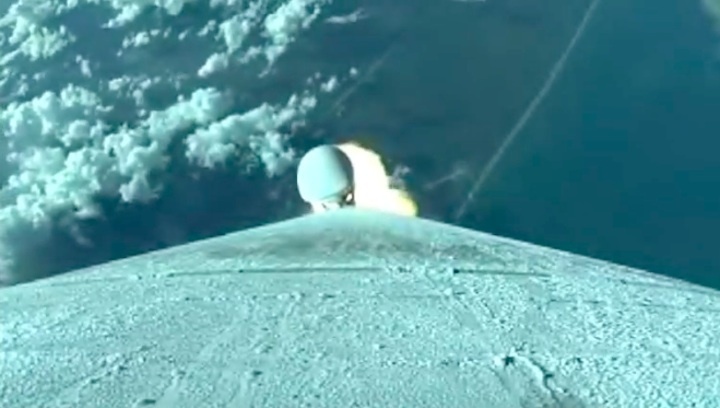 The mission was pushed back two days to replace a component and to retest the rocket after pre-flight checkouts turned up a part that was misbehaving. 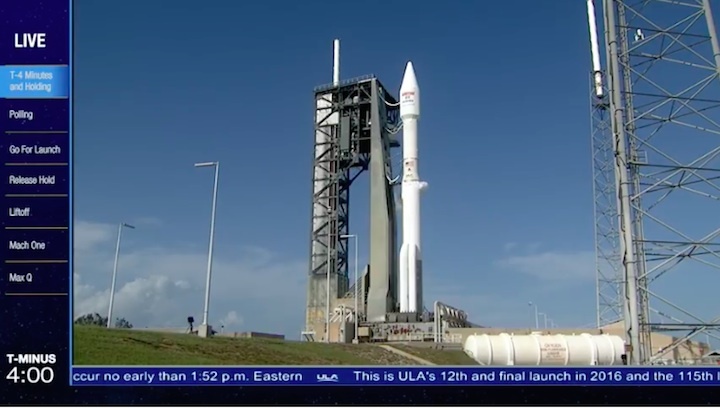 Built by SSL, the 15,000-pound craft will be moved from the commercial Astrotech payload processing center to Complex 41 early Saturday morning. 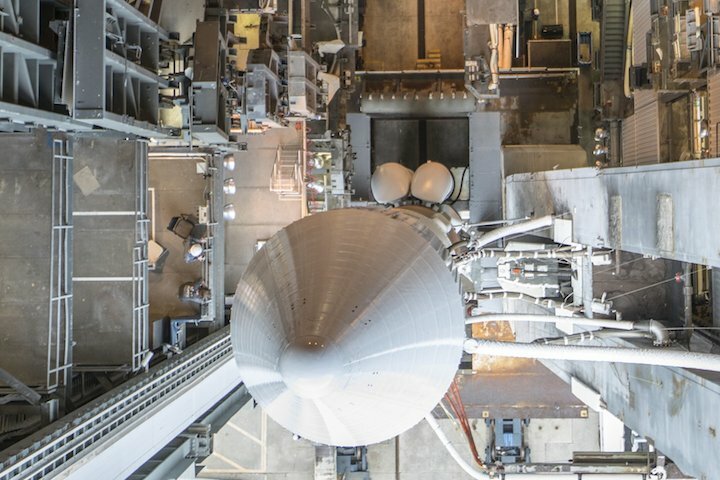 A crane will hoist EchoStar 19 atop the Centaur upper stage. 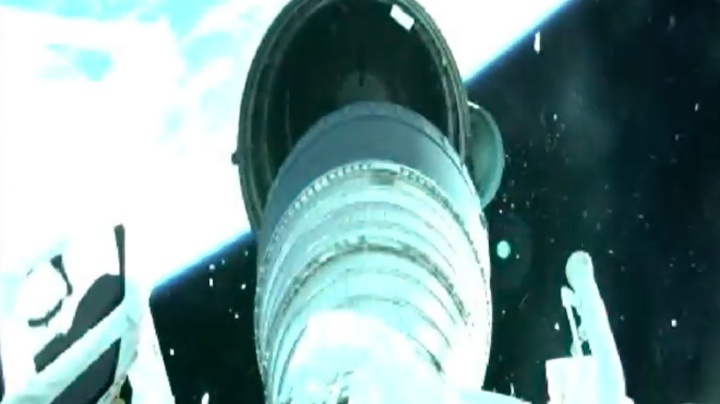 The satellite has been encapsulated in the Atlas 5 rocket’s Extra Extended Payload Fairing (XEPF) aluminum nose cone. 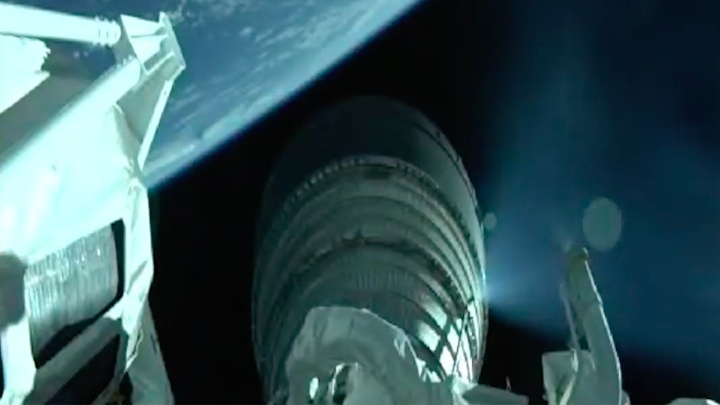 The shroud is 14 feet wide and 45 feet in length. 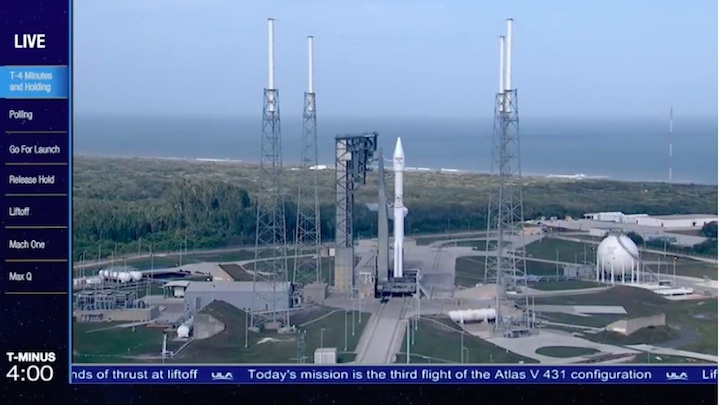 Once EchoStar 19 is mounted to the rocket, the Atlas 5 will stand 194 feet tall. 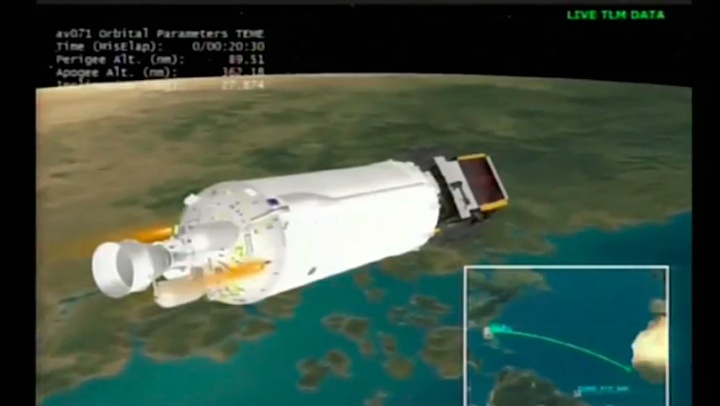 The spacecraft will be operated in geostationary orbit to link rural users to the Internet with the help of a rooftop satellite dish. 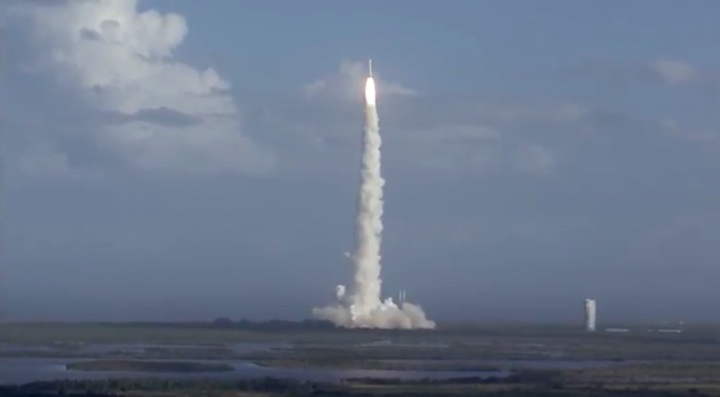 It will enable growth of HughesNet, which is the most popular satellite Internet service in the U.S. with one million customers. 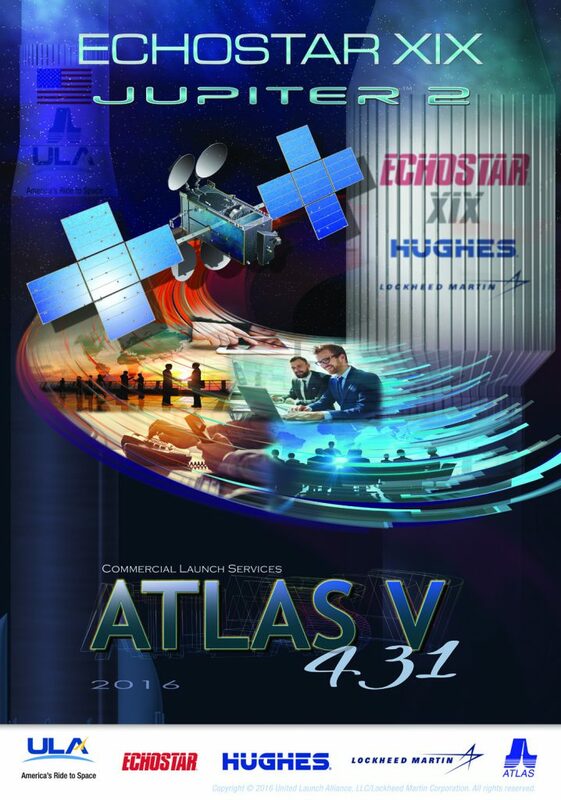 Rocket/Payload: A United Launch Alliance Atlas V 431 configuration rocket will launch the EchoStar XIX mission for Hughes. 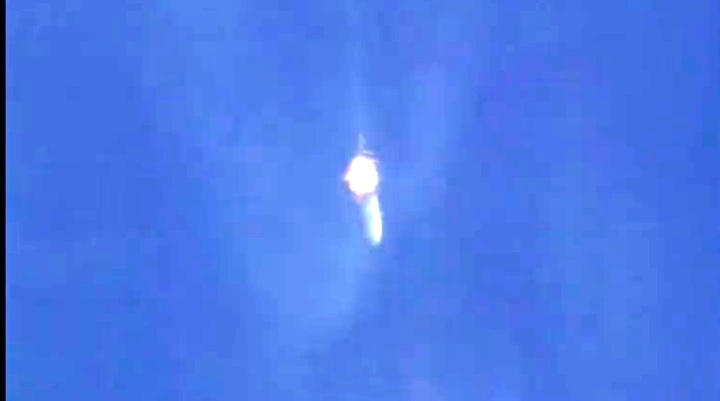 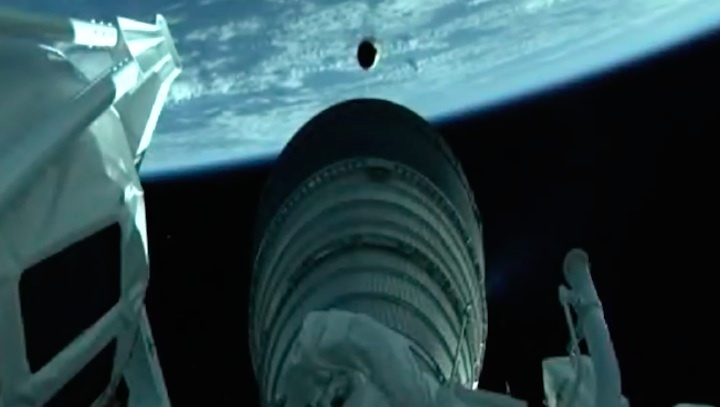 The Atlas V is provided by Lockheed Martin Commercial Launch Services. 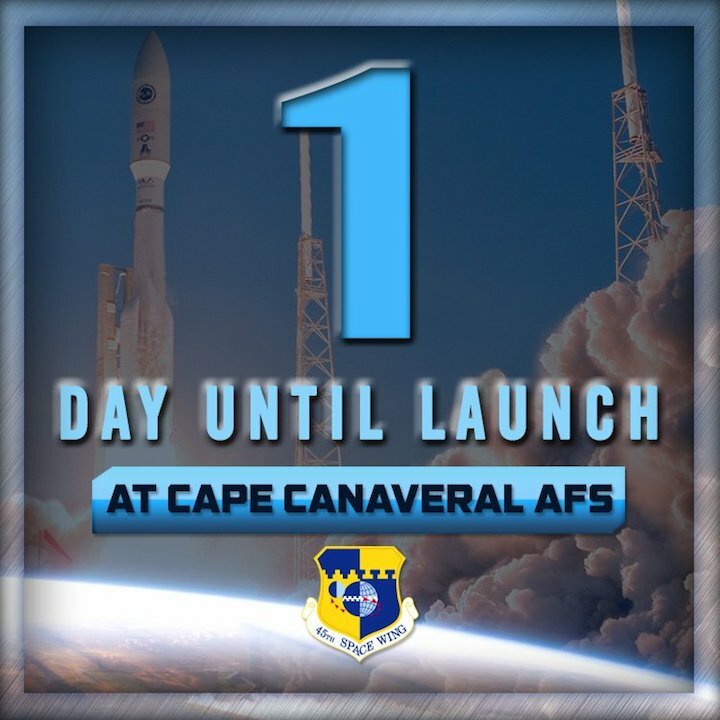 Date/Site/Launch Time:Sunday, Dec. 18, 2016, from Space Launch Complex (SLC)-41 at Cape Canaveral Air Force Station, Florida. 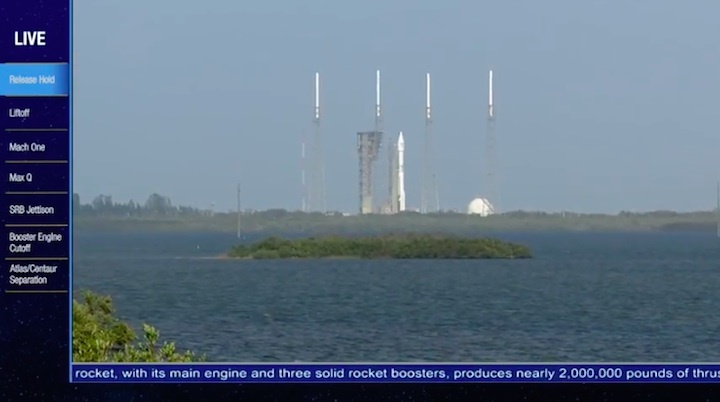 The two-hour launch window opens at 1:27 p.m. EST. 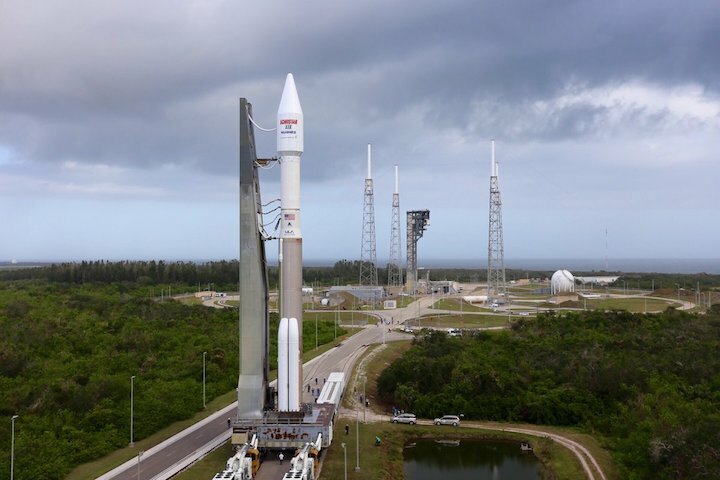 Live Broadcast: Tune in to ULA’s live launch day broadcast at 1:07 p.m. EST. 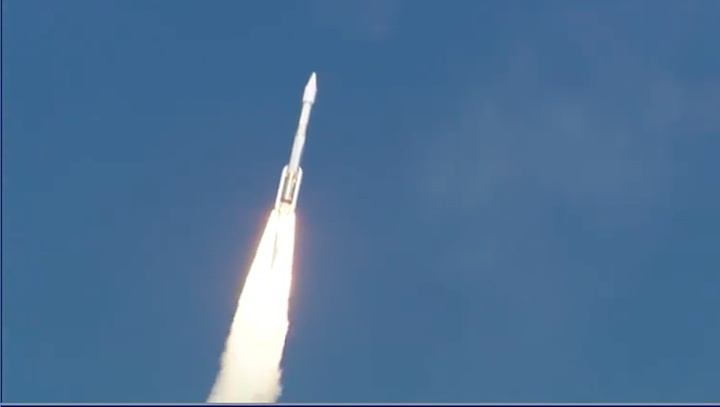 Mission Description: EchoStar XIX will be the world’s highest capacity broadband satellite in orbit, dramatically increasing capacity for HughesNet® high-speed satellite Internet service to homes and businesses in North America. 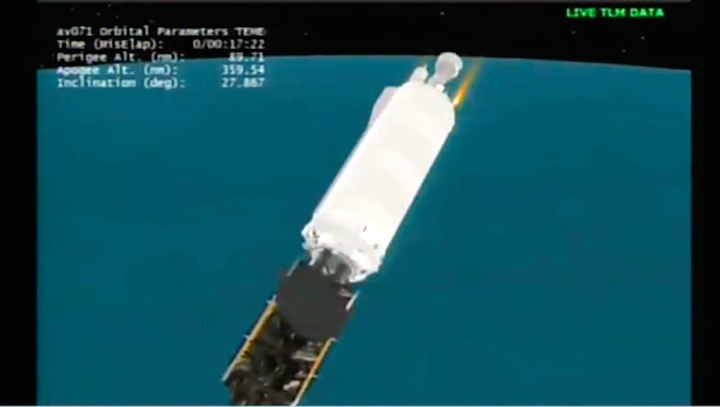 This large, multi-spot beam Ka-band satellite, based on the powerful SSL 1300 platform, will be stationed at 97.1 degrees West longitude. 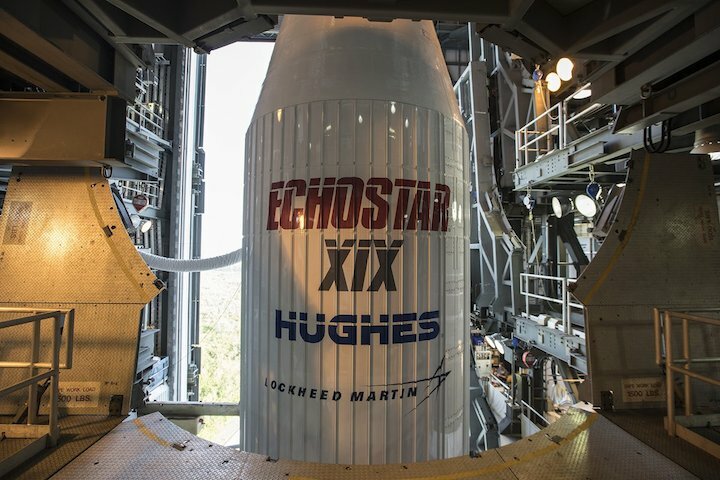 Building from their experience on the highly successful EchoStar XVII broadband satellite, SSL and Hughes collaboratively engineered thespecific design details of this payload for optimum performance. 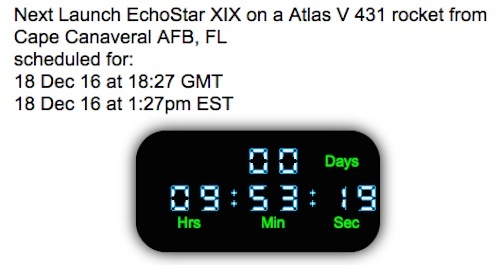 Launch Notes: EchoStar XIX will mark the 68th launch of the Atlas V rocket and the third in the 431 configuration. 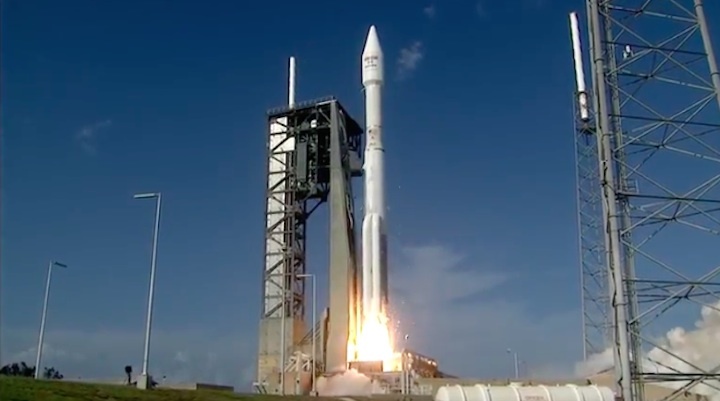 This mission will be ULA’s 12th of 2016 and the 115th since the company was formed 10 years ago.